'5Rhythms' and 'Contact improvisation' as a base to create our own dance practice. 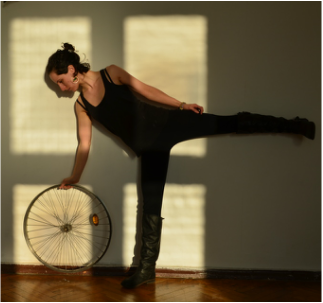 Dance with an emphasis on improvisation and listening to one's natural movement. 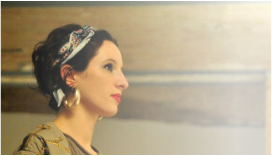 Through the Dance Expression class we aim to free ourselves from the conventional ideas of form and “dance”. For example: not trying to do a "dance move” but dancing as a means of expression and exploring dance as an art form. In doing so we provide a real opportunity for creating a unique group piece. All english levels welcome. All instruction is in English and through language immersion the students will build up confidence and improve their english skills. Each student will have the opportunity to learn how to lead and follow in a group and create their own dance. Providing the student with confidence in leadership and community skills. 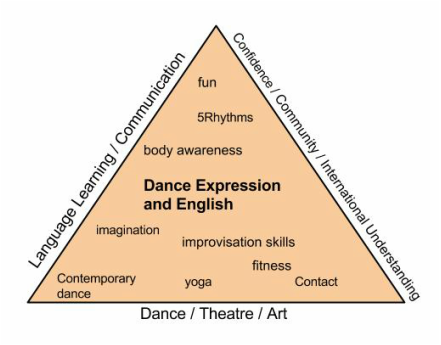 International understanding- bringing children from different backgrounds together to create dance/art/theatre together. Within the course there is an option for an extension to work with musicians and a composer, together we’d focus on the art of improvisation with a dance group. Responding to each other in the moment and building on the communication between the dancer and the musician. More information on all the different courses I offer coming soon!